Do you have bad credit? Or do you have no credit? If either case is true, you may think that you won’t be able to take out a loan, but this isn’t necessarily true. However, you will be confronted with interest rates that are considerably higher than those available for people with good credit. People with no credit or a poor subprime credit score are typically charged significantly higher interest rates than those with prime credit scores. If you are thinking about taking out a loan with a high interest rate, this calculator will help you compute your monthly payment amount and total interest charges. First enter the loan’s principal, as well as an interest rate, the loan term in years, and the number of scheduled payments per year. Click on CALCULATE and you’ll see dollar amounts for your monthly payment and total interest charges. There are times when everyone needs a little extra money. Many people just take out a loan from the bank. However, if you are one of the many who currently has a low credit score, borrowing money can be a challenge. It's not impossible, though, even with poor credit, to get a loan if you know where to look. Credit unions, as opposed to banks, are nonprofit financial institutions that are controlled by their members, who are represented by a board of directors. Credit unions have members that have some trait in common, such as employment, education, social interest, geographic location, or religion. Although credit unions don't have as many locations as banks, their focus is on the members, not on the profits. All profits are returned to members through lower interest rates on loans and higher interest rates on accounts. Whereas banks look at a loan applicant's credit score and ability to repay a loan, credit unions look at a loan applicant's character and ability to repay a loan. Although this doesn't mean that a credit union won't take credit score into account, it does mean that the requirements for getting a loan might be more lenient with a credit union. Whereas banks are more focused on commercial loans, credit unions are more focused on personal loans. It can be difficult to borrow money from friends or family, as money can alter personal relationships. However, if you've exhausted all other options, it might be the only choice you have left. Despite your personal relationship, you need to understand that borrowing money is a business transaction, just as it would be if you were borrowing from a bank, and both you and the lender should treat it as such. If you are going to ask a friend or family member for a loan, you should fill out and sign a promissory note. A promissory note is a legal document that outlines the amount of the loan, the interest amount, your payment amounts, when you will pay, and for how long of a period. To figure out your payments based on loan amount and interest rate, use a fixed interest loan calculator. Not only does a promissory note show the person loaning you money that you are serious about repayment, but it also protects them and their money if something happens to you. The promissory note is a legal document ensuring that they will get paid out of your estate. Be realistic, and discuss what will happen if you are unable to repay the loan. This contingency is the main reason you should only consider borrowing from friends and family as a last resort. You might have a friend or family member who is reluctant to loan you all the money that you need or who would love to loan you the money but just doesn't have it. You can always appeal to them to co-sign a loan with you. Lending institutions will set the terms of the loan based on the credit of the person with the highest credit score. This will allow you to get a loan at a lower interest rate. The risk for your co-signer is that if you fail to make the payments, he or she is responsible for paying off the loan. If you make late payments, not only is your credit negatively affected, but so is your co-signer's. However, if you make your payments on time for the duration of the loan, not only will your credit improve but so will your co-signer's. With your improved credit, hopefully you won't need a co-signer on your next loan. If you own your own home and you have equity in your home, consider a Home Equity Line of Credit (HELOC). A HELOC allows you to borrow money against the equity in your home, usually at a low-interest rate. A HELOC is a revolving credit line, meaning that you can borrow some or all of the equity you have available. You can also borrow more later if you need it. Generally, you have a checkbook or a credit card tied to your HELOC. You have a fixed amount of time to repay your HELOC in monthly payments, usually between five and 15 years. If you still owe money at the end of your term, you must pay off the balance in full. If you sell your house while you own money on a HELOC, you must repay the HELOC. Although a HELOC can be a lifesaver in certain situations, it has also been known to get people into more debt, as they can use it like a credit card, tapping into it frequently. Use your HELOC sparingly and pay it off in full before you use any more money. Peer-to-peer loans are essentially websites where people go to lend or borrow money. Borrowers post a loan amount and the purpose for their loan. Investors search through loan postings to find one that meets their criteria (amount, purpose, and desired interest rate). Once enough investors invest in the loan to meet the loan amount requested, the loan is given. The borrower makes monthly payments and a portion of the payment goes into each investor's online account until the loan is repaid. The investor can then re-loan the money or withdraw it. Borrowers can write their story, or why they are in the position they are and why they need the loan. On one peer-to-peer loan site called Prosper, you can borrow anywhere from $2,000 to $35,000. Investors can invest as little as $25. The purpose is for people to help people, as well as to make money over periods of time. 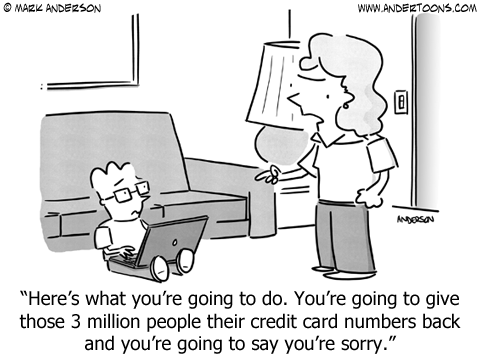 The worse your credit is, the higher the interest rate you're going to pay. But it's still not going to be anywhere near the interest rate you'd pay by taking out a cash advance on a credit card with poor credit. You might have heard about short-term loans such as payday loans, car title loans, or tax refund loans. Although they may seem like a good solution, they really aren't. Payday loans, for example, are meant to be loans for a maximum of two weeks, or until your next payday. Payday loans have an average annual interest rate of 426 percent and have been known to charge up to 1,000 percent! If you are unable to pay back your short-term loan in the two weeks for which it is set, you will end up paying a lot more than what you originally borrowed. When you're having financial difficulties to begin with, paying such an astronomical interest rate is not helpful. Getting a loan is ultimately a short-term, if necessary, solution. While getting and paying your loan, you need to work on fixing your credit. Avoid frequent credit checks by not applying for credit cards or other types of credit, as frequent credit checks can lower your credit score. Check AnnualCreditReport.com every year to make sure you have no inaccuracies on your credit report. If you find any, work to fix them. 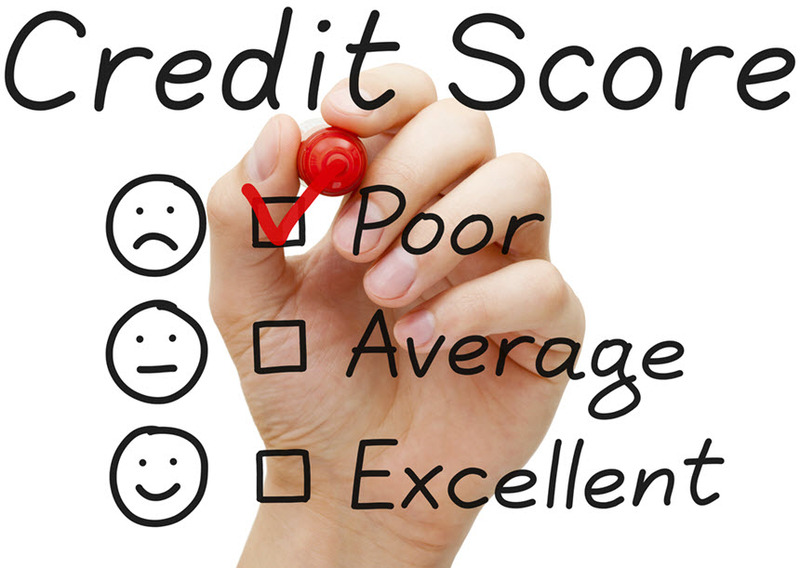 Checking your own credit report doesn't negatively affect your credit. Other than checking your credit report, the two most important things that you can do to improve your credit score are reducing the amount of debt that you owe and making your payments on time. Obviously, you can't reduce the amount you owe if you're taking out a loan, but do so as soon as you can. If you are behind on any payments, get current and stay current. While you are repaying your loan, do everything you can to get all of your bills caught up and pay all of your bills on time. Once you're in a better financial position, you can work on lowering the balances on any credit accounts that you have. Having poor credit can be challenging, especially when you need a loan. However, there are options. Look at your local credit unions and do some research to find the best interest rates. Look to family and friends if there is someone that you think would be willing to loan you the money or co-sign a loan with you. If you own a home and have equity in it, consider a home equity line of credit, but only if you're disciplined enough to use it once and pay it off. If none of these options work for you, consider a peer-to-peer loan. Although peer-to-peer loans might seem new and strange, they've actually been around for quite a few years. Prosper itself has loaned over $2 billion in peer-to-peer loans. Everyone needs a little extra cash flow at some time or another. Just because you currently have poor credit doesn't mean that you can't get money when you need it, just like everyone else.